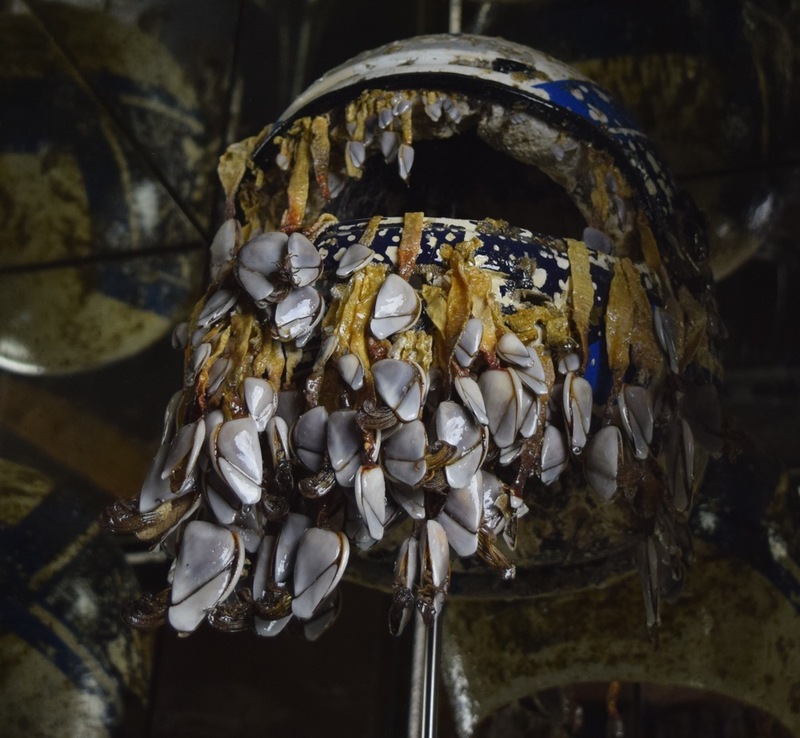 This motorcycle helmet was found with goose barnacles attached on Saunton beach on January 21st 2014, after the big storms that battered North Devon and Cornwall. It had probably spent between 5-10 years floating in the ocean. The preservation process was carried out over a four month period using numerous techniques to dry and conserve the barnacles. 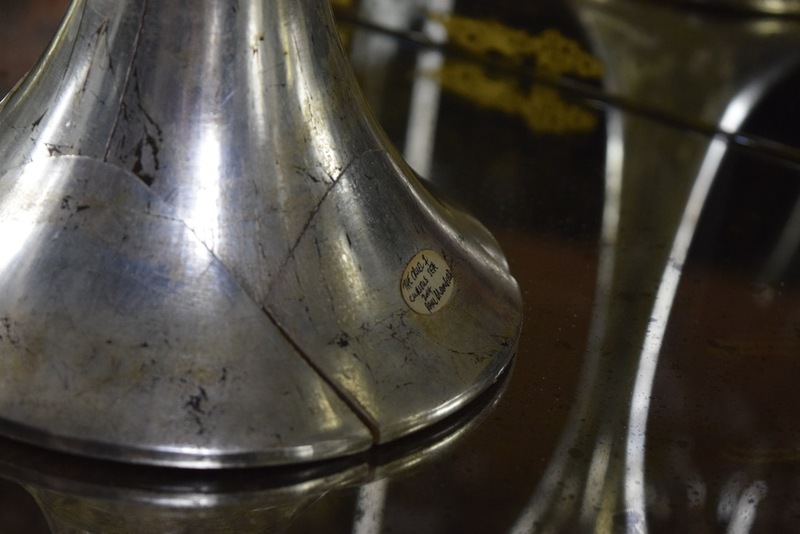 They were then sealed with epoxy resin and mounted on a silver gilt pedestal. "The sea has a way of sorting things out"; Simon (Skelly) Skelton, waterman.